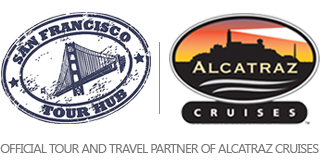 San Francisco Tour Hub – Top San Francisco Tours including Alcatraz Tours, Napa Wine & Country Tours, Yosemite Tours, Muir Woods Tours and more all at the best price! Top Quality Tours at the Best Possible Price! Country Tours, Yosemite Tours, and more all at the best possible price! seafood, Ghirardelli Square, the Musée Mécanique, and much much more. tour which reenacts events that will send chills down your spine. Experience the closest thing to China while visiting San Francisco’s Chinatown. Back allies with over a century of history, authentic restaurants, and much more. stands today and is a site must see that will take your breath away. back in time. Great food, cool shops, and yes, you’ll see hippies. both in breathtaking views and fantastic California wines. the bridge is an engineering marvel. most popular and a famous attractions of the city. Yes, we can take you there. as the home port of Eros, hence the stereotypical bow and arrow of Cupid. sip a capaccino, see a theatrical, or just grab a drink and people watch. Alcatraz Island offers a close-up look at the site of the first lighthouse and the infamous federal penitentiary. 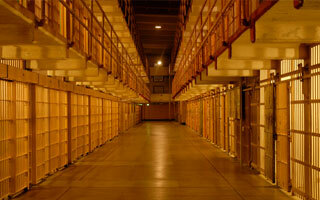 Book your tickets in advance and visit this iconic jail once occupied by Al Capone and other notorious criminals. 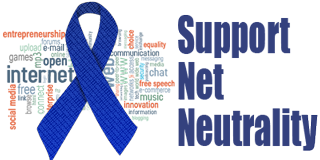 Napa Valley is an American Viticultural Area located in Napa County, California, United States. 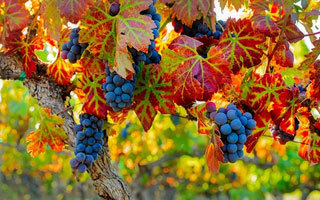 Napa Valley is considered one of the premier wine regions in the world. Tour and taste some of the best wines as we take you through beautiful wine country. 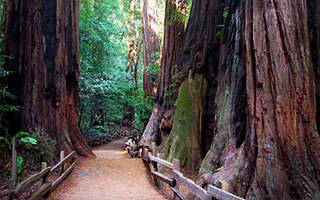 Come join those who come from around the globe to pay homage to nature in this cathedral of redwoods. The trees’ ages range from 400 to 800 years and they have heights of up to 250 feet. City by the Bay, Golden Gate City, Everybody’s Favorite City, San Francisco is all of these…and much, much more. There’s a lot to do in San Francisco and we offer most-loved, most entertaining tours of San Francisco including: San Francisco City Tours, Alcatraz Tours, San Francisco to Yosemite Tours, San Francisco Bay Tours, Napa Wine and Country Tours, Muir Woods Tour and much much more at the lowest possible price. Go ahead and see all that we have to offer, and let San Francisco Tour Hub help you discover our beautiful city with many great names!